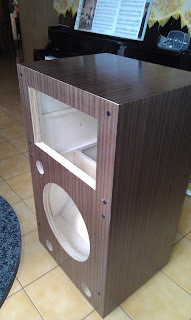 New design 3-ways speaker box ...front view. 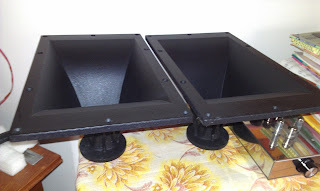 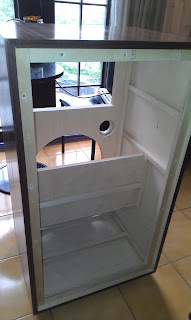 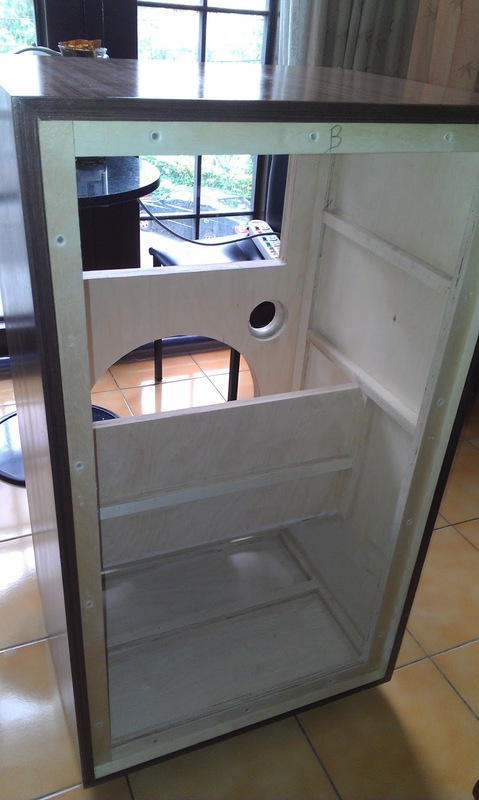 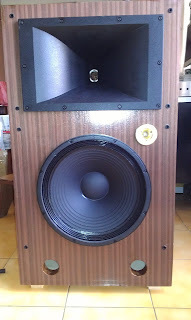 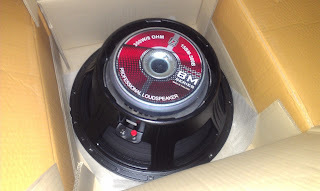 Speaker box rear view... woofer with L-load design. 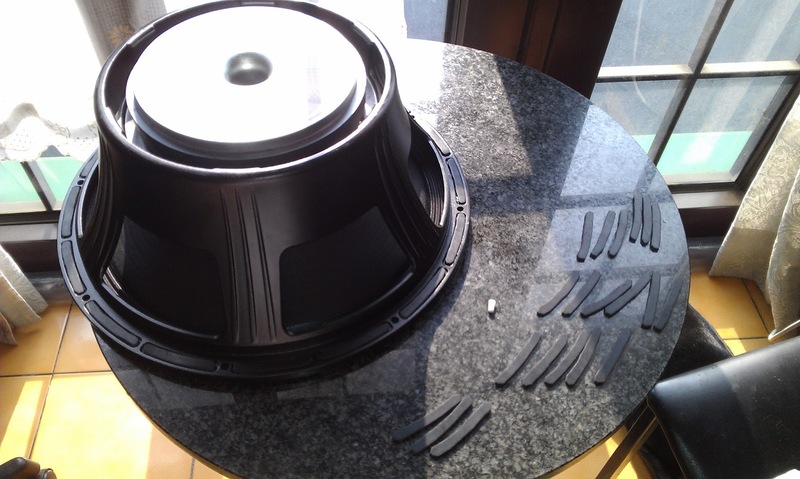 Mid horn is JBL 2380 Flat front Bi-radial horn.